Requires installation and certain options listed below in the accessory section. 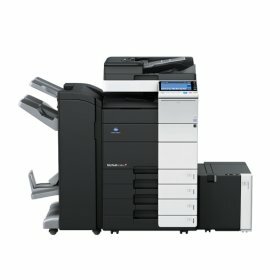 The Konica Minolta C454e is designed to improve your productivity with high-speed output, fast access to business information and powerful modular options for right-size scalability. With the bizhub 454e, you can print and copy up to 45 ppm in both color and B&W – with standard single-pass dual scanning. Requires installation and certain options listed below in the accessory section. 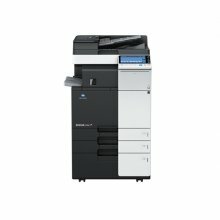 Delivering high-quality color and B&W at up to 28 ppm, the bizhub 284e elevates color printing into a different class. Use your Konica C284e to scan up to 160 originals per minute with flexible distribution to multiple destinations. With the innovative INFO-Palette design, the Konica Minolta C284e is all-in-one productivity at its best.